Stewart goes over to Mrs. Chairbottom's house expecting a Hallowe'en party and discovers ... something else! Book Three of the Babysitter Out of Control! Series From the Critics: "In keeping with the other two books in the series, this is a quick-paced, plot-driven novel aimed at children new to the world of chapter books. The illustrations are bright and colourful, with the right amount of spookiness for a young reader. Recommended." CM: Canadian Review of Materials, Feb. 17, 2012 Selected one of the Spooky Young CanLit Reads for Halloween. About the Author: Canadian author, Margaret J. McMaster, published her first book of middle-grade fiction, Carried Away on Licorice Days, in 2008. It was nominated for three literary awards: the Canadian Library Association's 2009 Book of the Year for Children Award, the 2010/2011 Hackmatack Children's Choice Book Award, and the 2011 Rocky Mountain Book Award. In 2009 she started writing the Babysitter Out of Control! series. These amusing, fast-paced adventures include: Babysitter Out of Control!, Looking for Love on Mongo Tongo, The Improbable Party on Purple Plum Lane, What Happened in July (selected for Best Books for Kids & Teens - Spring 2013), The Sinking of the Wiley Bean, and, The Queen of Second Chances. The Complete Babysitter Out of Control! Series, published in 2015, was long-listed for the 2016 Silver Birch Award, selected for Best Books for Kids & Teens - Fall 2015, and the Gold Medal Winner in the 2015 Moonbeam Children's Book Award EARLY READER / 1ST CHAPTER BOOKS category. McMaster is a past contributor to the Canadian Children's Annual and her creative non-fiction piece, After All These Years, was shortlisted for the 2006 CBC Literary Award. So Much Potential, a novel set in the Lake Erie fishing industry, was published in 2013. It was a Starred * Selection in Best Books for Kids & Teens - Spring 2014. 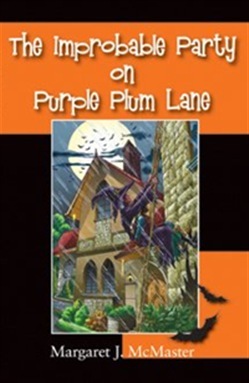 Acquista The Improbable Party on Purple Plum Lane in Epub: dopo aver letto l’ebook The Improbable Party on Purple Plum Lane di Margaret J. McMaster ti invitiamo a lasciarci una Recensione qui sotto: sarà utile agli utenti che non abbiano ancora letto questo libro e che vogliano avere delle opinioni altrui. L’opinione su di un libro è molto soggettiva e per questo leggere eventuali recensioni negative non ci dovrà frenare dall’acquisto, anzi dovrà spingerci ad acquistare il libro in fretta per poter dire la nostra ed eventualmente smentire quanto commentato da altri, contribuendo ad arricchire più possibile i commenti e dare sempre più spunti di confronto al pubblico online.